So, this is answer of our previous question. Lets have a look into it. Selected T cells are sent to medulla,where there affinity for self antigens are tested.If the have affinity they are programmed to death. Both T-cell and B-cell have TCRs and BCRs respectively. 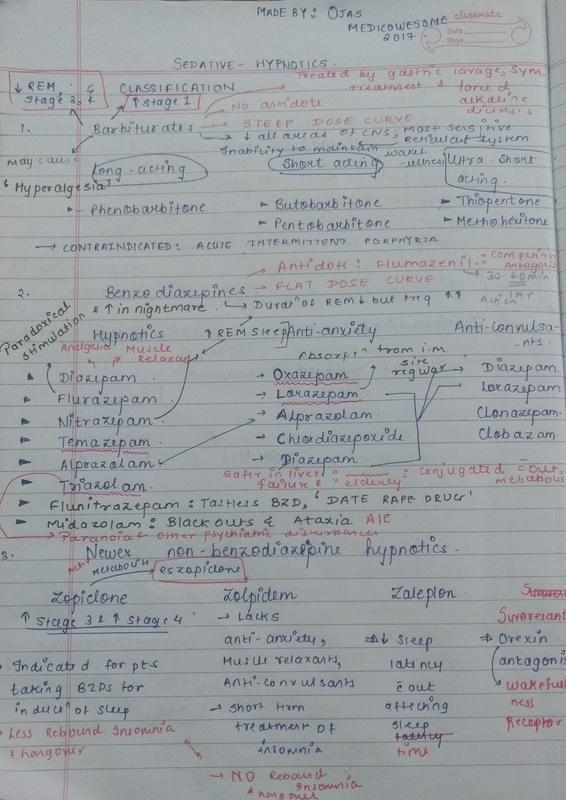 Class I MHC is expressed on both T cells and B cells..
Hello awesomites so here is my " Single page notes" on opioid analgesics. Let us know the difference between opiates and opioids. Chemicals derived from opium or related to morphine chemically are called opiates. And those having morphine like structures, irrespective of chemical action are called as opioids. 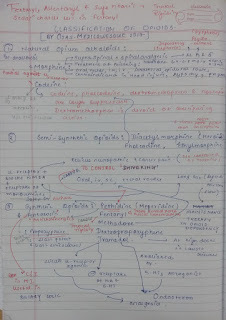 A) Acts on Mu(Causes dependency-Euphoria) , kappa(Dysphoria - Psychomimetic) and delta receptors as agonist. Hence used as supraspinal and Spinal analgesic. B) Treatment of poisoning: Naloxone 0.4-0.8 mg i.v. repeatedly for 2-3 minutes. E) Contraindicated in head injury, hypothyroidism patient, pregnancy. 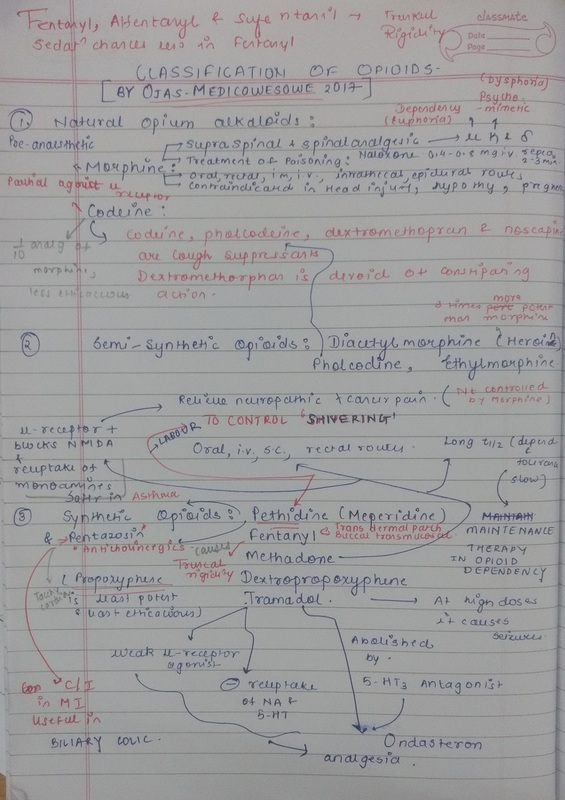 A) Partial agonist at mu receptor. B) 1/10th analgesic of morphine and less efficacious. Heroine:Three time more potent than morphine. Codeine, pholcodeine, dextromethopran and noscapine are cough suppresants. Dextromethopran is devoid of constipating action. A) Causes truncal rigidity due action on mu receptor. B) Can be given by oral, rectal, i.v, s.c, routes. A) At high doses it causes seizures. A) It is a weak mu receptor agonist and decrease reuptake of NA and 5-HT hence used as analgesia. This is abolished by Ondasteron. I wish to create a visual learning experience by adding images and videos along with what we write. That is why, I'm asking medical students, residents and acquaintances to send me images of what they see to help create the Medicowesome Image Library (MIL). Hello awesomites! Let us discuss about our previous question. Question) Which of the following statement(s) is/are true regarding benzodiazepines? Correct answer is C and D.
D) Nitrazepam is metabolized in liver. BZDs has facilitatory action. They are not a GABA agonist. Diazepam has rapid onset of action but prolonged action due to formation of active metabolite. BZDs like nitrazepam, flurazepam etc are metabolised in liver by dealkylation and hydroxylation. The dependence producing liability of BZD is low. They are Infrequently used now. Yesterday we posted an Image based MCQ on Instruments and here is the answer to the question. Q. 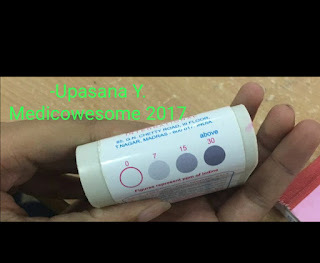 What is the inner diameter of the device shown in the picture if it is to be used in adults? The correct answer is B. 8-9 mm. The image given shows an Endotracheal tube that is available in different sizes for different age groups. Internal diameter 3mm - 6mm is used for Paediatric cases. Typically, an 8.0 or 8.5 mm for adult men and 7.5 to 8.0 mm for adult women is an ideal choice. Thanks for your active participation in the question. Latanoprost increases the uveoscleral outflow of the aqueous humor. Pilocarpine has a constrictive effect on the ciliary body as a whole. Hence, when the two are used together, their effects end up getting nullified with the physician bungling to achieve the target IOP. 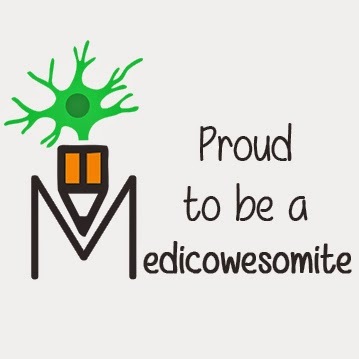 We, the Medicowesome authors, decided to do something new this month and bring to you - Medicollabowesome. 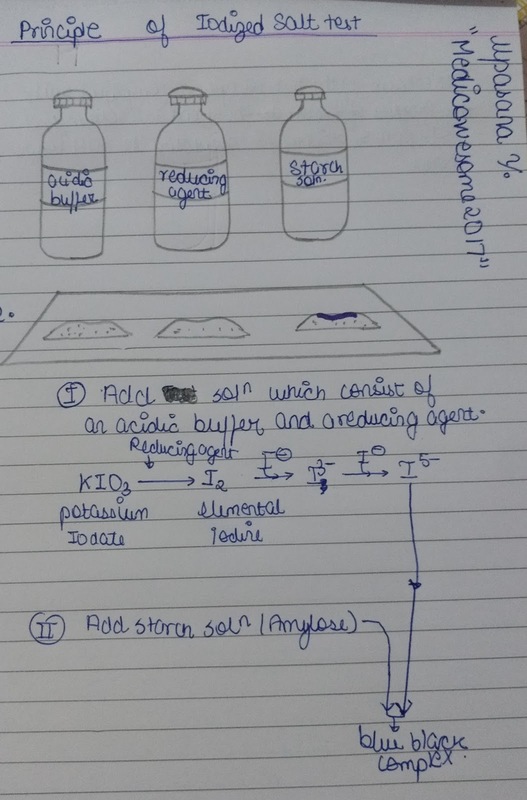 The idea originated from wanting to see how different people present information uniquely on the same topic. 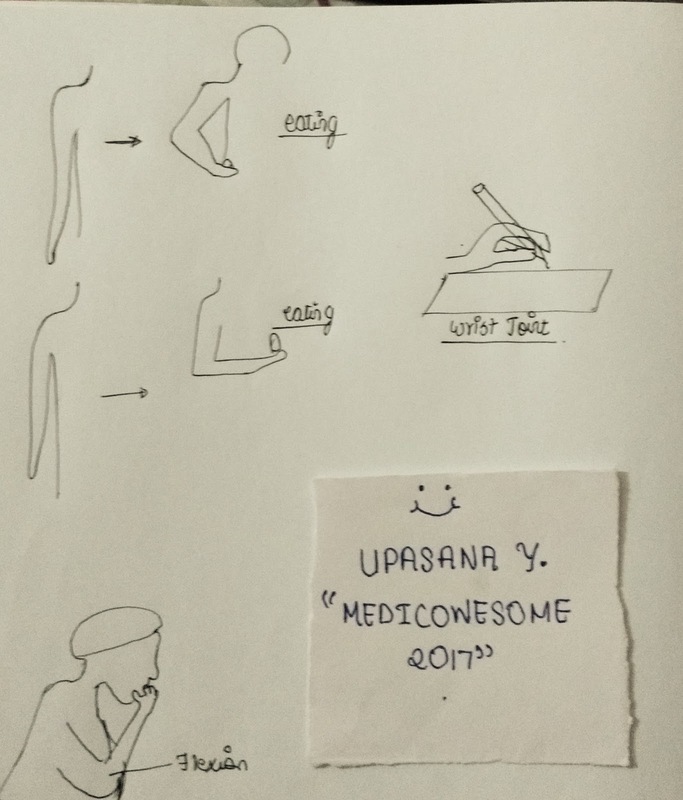 The Medicowesome authors decided that most of us will (try) to write on one particular topic every month. The topic for the month of August: HIV & AIDS. Here's a collection of Drugs of choice (DOC) for some Dermatology conditions. These are some of the most commonly asked questions in Post Graduation entrance exams. 1. DOC for severe erythrodermic psoriasis? 3. DOC for pustular psoriasis? 5. 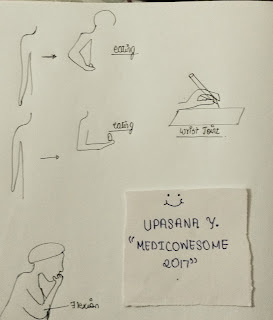 DOC for arthritis mutilans? 6. 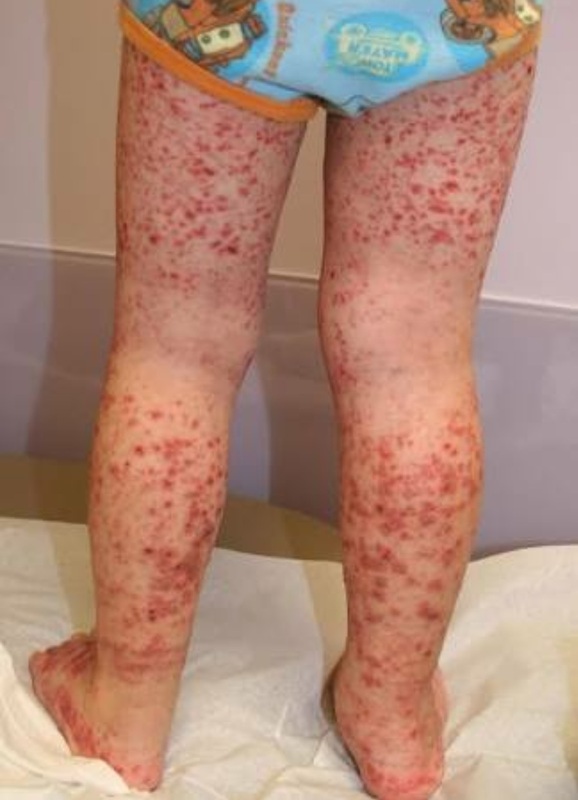 DOC for impetigo herpetiformis? 7. DOC for psoriatic arthritis? 8. DOC for psoriatic erythroderma in pregnancy? 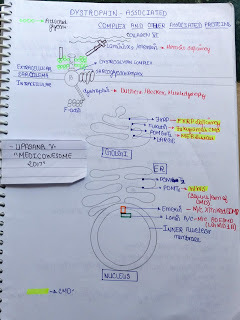 Role of Mastoid air cells. 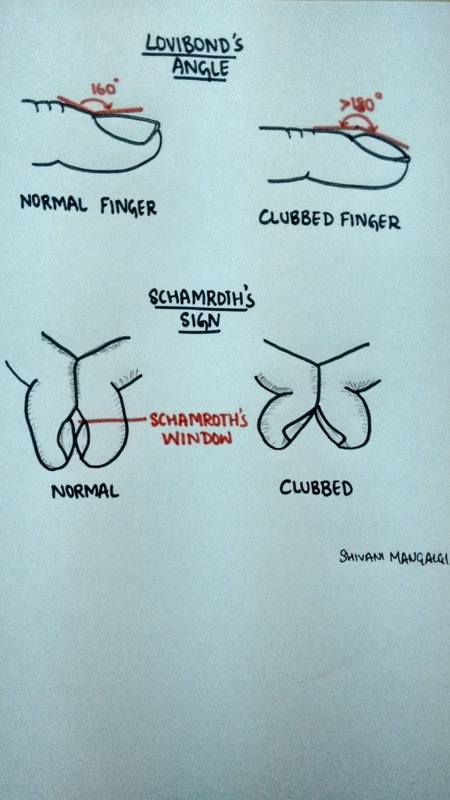 Bulbous enlargement of the distal portion of the digits due to increased subungual soft tissue. It is also known as the "Hippocratic fingers", as it is believed that perhaps Hippocrates was the first to document clubbing as a sign of disease. 1. 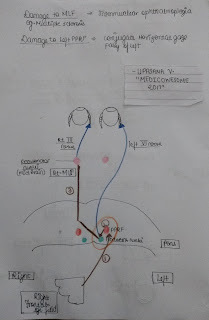 Neurogenic theory- vagal stimulation via neural reflexes can lead to proliferation of connective tissue at the distal extremities resulting in clubbing. 3.Hypoxic theory- Hypoxia is suggested to be a stimulus for HOA. It leads to opening of deep arteriovenous shunts and fistulae which increase blood flow to the extremities and leads to hypertrophy. 4.Platelets derived growth factor- Normally megakaryocytes and large platelets get destroyed in the lungs. But in lung pathology they escape the lung and reach the distal extremities. Here they interact with the endothelial cells and release platelet derives growth factor (PDGF) post activation. PDGF and other mediators then activate the fibroblasts and transforming growth factor beta which lead to collagen production and connective tissue laying down ultimately giving rise to clubbing and HOA. This is the latest accepted theory. It is a condition in which an individual feels the driving compulsion to write; the overwhelming urge to write. Hypergraphia has also been called 'midnight disease'. Well based on how we perceive it, the "disease" could either be all about writing or writer's block. This unstoppable drive to write can be triggered by temporal lobe epilepsy(hippocampus and Wernicke's area in specific), intolerant mood disorders or dopamine. What is very fascinating about this condition is that there are NO other vicious symptoms (other than a little irritability-which is quiet expected) and the fact that the patient can go on writing on anything from toilet papers to wall to even roads. And what is more fascinating to know is that many famous authors and poets like Sylvia Plath, Stephen King and Leo Tolstoy (that's how the world got "War and Peace") suffered from hypergraphia. Ingenious result from a brain defect. Now a question might arise..if the quality of writing in these patients is any good? 1. Alice Flaherty (Harvard Medical school neurologist) gets episodes of hypergraphia following any grief incidences that have grave affect on her brain. She has started her 4th book and is doing research to help explain how the muse comes and goes. 2. Mendez- He felt the unreasonable compulsion to write poetry even though the patient had no previous history of being a poet. 3. 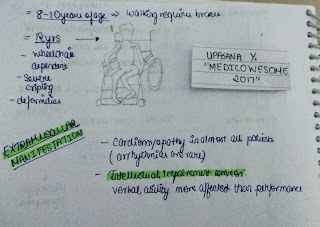 Patient who wrote everything backwards! 4. Patients writing same word over and over again but with differing calligraphy. 5. 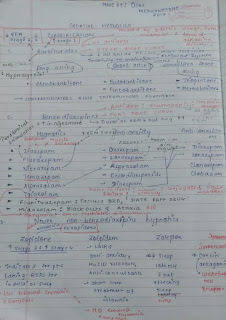 Patients' writing consists of sheer scribbling and frantic random thoughts. Therefore on a lighter note, if you have the wrong brain defect but fall under the right category...then voilà...YOU shall be famous! Also known as the white pupillary reflex, is an abnormal white reflection from the retina of the eye. Pathologically it's the absence of the red reflex. Clinically the pupils appear white rather than the usual black color. Go ahead and add more causes to make your own list! Under normal circumstances, bowel movements usually do not appear till 72 hours after a certain abdominal or non - abdominal surgery, with a characteristic pattern of initiation of small bowel movements within 24 hours, stomach within 48 and colonic ( proximal to distal ) within 72 hours after surgery. The assessment of gastrointestinal recovery is done with consideration to certain factors like the time taken to ingestion of first solid food, and time to either bowel movements or the first flatus passed, whichever occurs later. - Feeling of discomfort, nausea or vomiting on oral intake, thus requiring i.v. support, NG tube placement by PO day 5. - Partial return of bowel movements after PO day 5. On the other hand, post operative ileus due to mechanical obstruction, inspite of sharing many signs and symptoms, is an important differential to exclude. Most of the patients with PO mechanical obstruction in the bowel ( due to herniation, adhesions, stomas, masses, etc. ) have an initial return of bowel function that may be partial/ complete, and oral intake, after a physiological period of 72 hours post operatively. 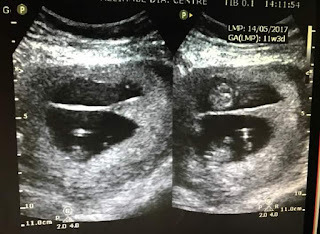 It is then followed by intermittent episodes of nausea, feculent vomiting abdominal intense cramping pain and distension, that is often paroxysmal and rapidly progressing..
Also, patient with mechanical bowel obstruction after surgery may have other signs suggestive of ischemia of bowel loop distal to the obstruction, such as localised tenderness, fever, tachycardia, and peritoneal signs, which would mean immediate surgical intervention so as to prevent further complications !! Before starting with the III nerve, Let us understand the term. According to TABER'S medical dictionary, We need to understand 3 main type of palsy here. 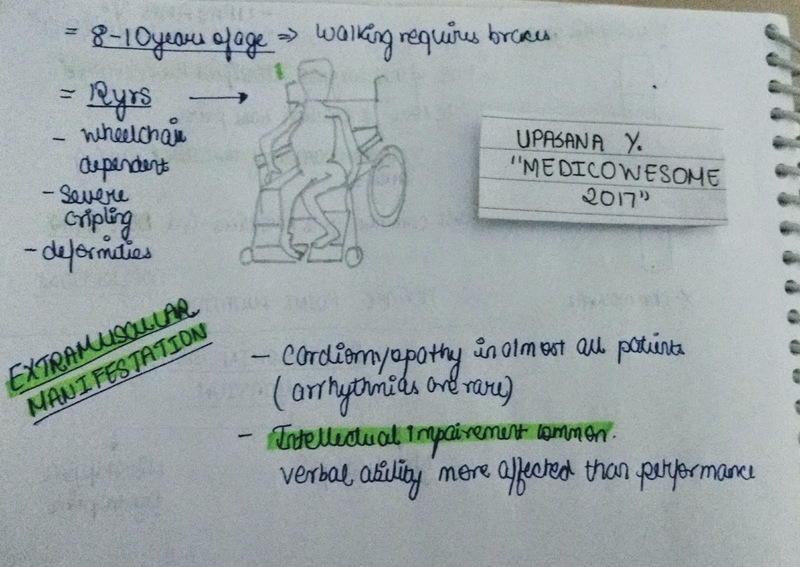 1.NUCLEAR palsy :- Paralysis caused by lesion of the nuclei in CNS. 2.OCULAR palsy :- Paralysis of extraocular nd intraocular muscles. -in motor centres of the brain. 1. Ptosis - paralysis of LPS muscle. 2. Deviation – out, down and intorted (unopposed action of LR and SO). 4. Pupil is fixed and dilated – paralysis of sphincter pupillae muscle. 5. Accommodation is completely lost – paralysis of ciliary muscle. 6. 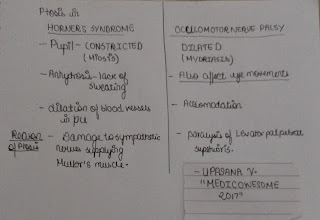 Crossed diplopia – paralytic divergent squint. • Lesions of the cerebral cortex and supranuclear pathway produce conjugate paresis which affect both eyes equally. • In supranuclear lesions although position and movements of the eyes are abnormal, they maintain their relative co-ordination and produce no diplopia. • Lesions involving purely the third nerve nucleus are relatively uncommon. • Lesions involving paired medial rectus subnuclei (ventromedial nucleus) cause a wall-eyed bilateral internuclear ophthalmoplegia ( WEBINO ) characterised by defective convergence and adduction. • Causes are similar to nuclear lesions. 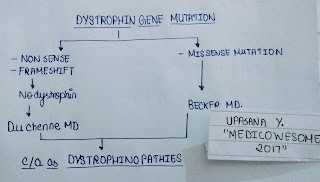 -Benedikt syndrome involves the fasciculus as it passes through the red nucleus and is characterised by ipsilateral 3rd nerve palsy and contralateral extrapyramidal signs such as hemitremor. -Weber syndrome involves the fasciculus as it passes through the cerebral peduncle and is characterised by ipsilateral 3rd nerve palsy and contralateral hemiparesis. -Nothangel syndrome involves the fasciculus and the superior cerebellar peduncle and is characterised by ipsilateral 3rd nerve palsy and cerebellar ataxia. -Claude syndrome is a combination of Benedikt and Nothangel syndromes. • As the nerve runs in the subarachnoid space at the base of skull unaccompanied by any other cranial nerve, isolated third nerve palsies are frequently basilar. 1. Aneurysms at the posterior communicating artery cause isolated third nerve palsy with involvement of pupil. 2. Extradural hematomas which may cause tentorial pressure cone with downward herniation of the temporal lobe. This compresses the third nerve as it passes over the tentorial edge. Initially there occurs fixed, dilated pupil, which is followed by a total third nerve palsy. 3. Diabetes causes isolated 3rd nerve palsy with sparing of the pupillary reflexes. • Because of its close proximity to other cranial nerves, intracavernous 3rd nerve palsies are usually associated with involvement of the 4th and 6th nerves, and the 1st division of trigeminal nerve. -PULSATILE EXOPHTHALMOS can also be seen. • In intracavernous 3rd nerve palsy, pupil is spared. Sometimes, pupil may be constricted owing to inv of sympathetics. 1. Diabetes may cause vascular palsy. 2. 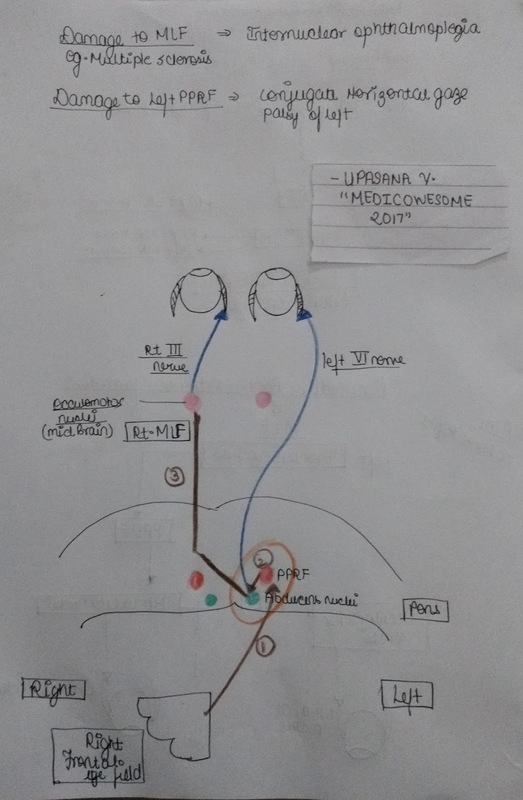 Pituitary apoplexy – may cause a third nerve palsy as a result of hemorrhagic infarction of a pituitary adenoma (after child birth), with lateral extension into cavernous sinus. 3. Intracavernous lesions – aneurysms, meningiomas, carotid-cavernous fistulae and Tolosa-Hunt syndrome (granulomatous inflammation). • May cause isolated extraocular muscle palsies or may involve either superior division or inferior division or both. • Causes : orbital tumors, pseudotumors, trauma and vascular diseases. • B/w the brainstem and the cavernous sinus, pupillomotor fibres are located superficially in the superior median quadrant of the nerve. • They derive the blood supply from the pial blood vessels whereas the main trunk of the 3rd nerve is supplied by vasa nervorum. I want to thank my teacher for such a beautiful explanation. 2. 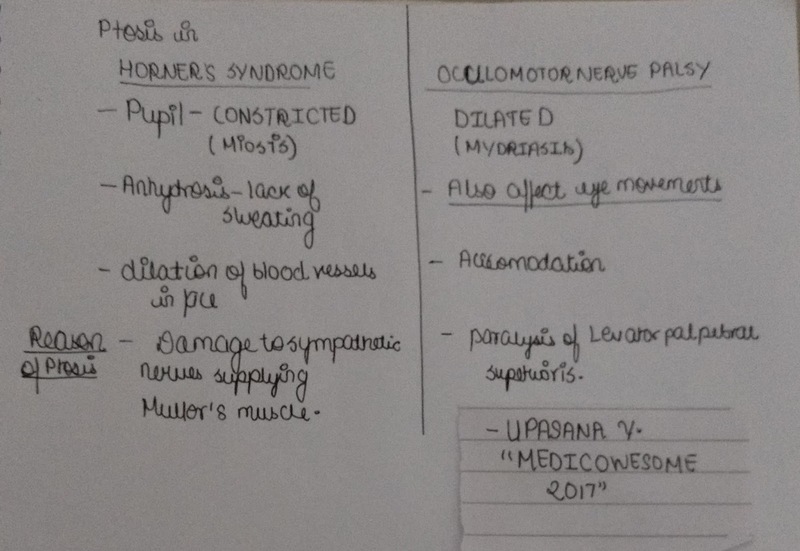 Ptosis in Horner's syndrome and oculomotor nerve palsy. If someone ask the medical personnel, What is ABC ? Unfailingly, the answer will be A-airway, B-breathing ,C-Circulation. In 2010 the AHA made a radical change to how we approach CPR. Up until then we all lived by the trusty "ABC" (Airway, Breathing, Circulation) method of resuscitation. Not surprisingly, though, the AHA's ongoing research began to show that compressions are the most important part of CPR and any delay or interruption resulted in worse outcomes. It was also discovered that during CPR, the patient's blood stays oxygenated for 4-6 minutes after their last breath. In response to this research, and in an attempt to simplify CPR for untrained laypeople, the AHA decided to switch our initial approach from ABC to CAB. While this change is medically sound, it has cause a lot of confusion for healthcare professionals who regularly use ABC for other scenarios. So, ABC vs CAB, which is correct? With indisputable evidence that compressions are the most important part of CPR, it is no wonder that AHA has been dee-mphasizing airway and breathing. In fact, in ACLS, the AHA has gone as far as to suggest that endotracheal intubation may not be as important as we once thought. While it remains the ultimate airway, the AHA suggests BVM or supraglottic airway ventilations because they reduce the interruption of compressions. In accordance with this paradigm shift, the AHA has changed ABC to CAB in the event of cardiac arrest. Unfortunately, though, some healthcare providers have incorrectly interpreted this change in cardiac arrest to be a change that applies to every other medical call. Some are under the impression that the AHA is the governing body over prehospital and emergency care, which is simply not the case. CAB is no doubt a revolution in cardiac arrest care but it is not meant to change the way we approach our "normal" patients. It does not have to be one or the other! While ABC has been phased out by the AHA, it still is the de facto initial assessment used in every non-cardiac arrest call. CAB, on the other hand, is now being used during cardiac arrest to remind practitioners and laypeople of the importance of compressions. In general, it is not useful to confine yourself to one ideology "because they say so." It is much more productive to understand each approach and use critical thinking to choose the best route for your patient. These days, I am attending orthopaedics posting. And I am loving it. I saw casting. Following questions were asked to me during the procedure. Q. Define Casts and Slabs. Slab: are non-circumferential immobilizers which is only support apart of the circumference of the limb. Q. Define Traction and Splints. A. TRACTION -Traction is a method of restoring alignment to a fracture through gradual neutralisation of muscular forces. Traction is applied to the limb distal to the fracture, so as to exert a continuous pull in the long axis of the bone. SPLINT - A device used for support or immobilization of a limb or the spine. Any material used to support a fracture is known as splint. Q. What is Colle's Fracture? A. It is not just fracture lower end of radius but a fracture dislocation of the inferior radioulnar joint. Q. Do you know anything regarding Colles Cast. A. It is a type of Immobilization method. It is the Below elbow cast (10 – 20 degree palmar flexion, 15 – 20 degree ulnar deviation) . 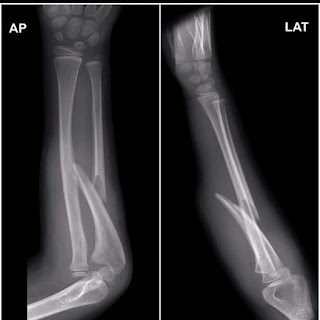 So, Colle`s cast :- It is a below elbow cast in supination. -Metacarpophalangeal joints should be free to move. The criteria are met in an individual if two or more of the features listed are present. L: Lisch nodules in the eyes. This question was asked to me by my friend and it was fun to find the answer. Hello! Long time, no see! Did you know a number of dietary factors influence iron absorption? Ascorbate (vitamin C) and citrate increase iron uptake in part by acting as weak chelators to help solubilize it in the duodenum. Hi Everyone ! Here's a short post on Cushing and Curling ulcers. U - Ulcerating - can even perforate. 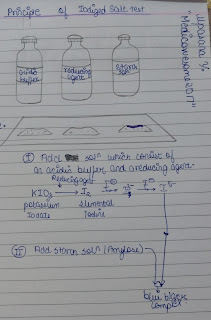 G - Gastric Acid secretion. Stress ulcers are typically non ulcerative superficial erosions of the gastric mucosa. They occur when a person is subjected to physical stress in the form of Trauma, Sepsis, Burns, Hemorrhage among many others. Psychological stress doesn't cause 'Stress ulcers' , although it does pre dispose to getting Peptic Ulcer Disease on its own accord. All the same, it doesn't cause 'Stress ulcer'. Cushing ulcers are type of stress ulcers occuring secondary to Head injury. They occur in the stomach commonly , and are associated with increased Gastric acid secretion. They are typically erosive and ulcerative , more likely to perforate than other stress ulcers. Another named stress ulcer is Curling Ulcer occuring secondary to Burns. They occur in the 1st part of duodenum commonly , and are NOT associated with increased Gastric acid secretion. Painless upper GI bleeding within 1-2 days of traumatic event. Usually slow and intermittent bleeding. (More to rule out other causes of GI bleed rather than ruling this in). - If lot of bleeding - Ligation of vessel at base of ulcer. 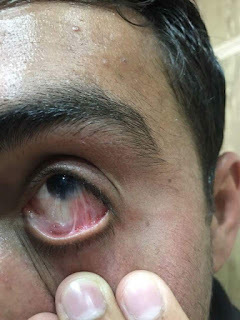 Yesterday we posted an Image based MCQ on Ophthalmology and here is the answer for it. Q. What is the most likely diagnosis of the given image? The correct answer is B. Symblepharon. 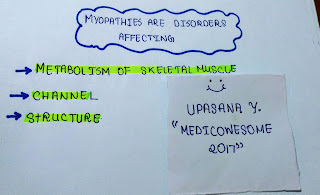 In previous post, We discussed about myopathy caused due to structural changes. -Disruption of the dystrophin-glycoprotein complexes weakens the sarcolemma, causing membrane tears and a cascade of events leading to muscle fiber necrosis. 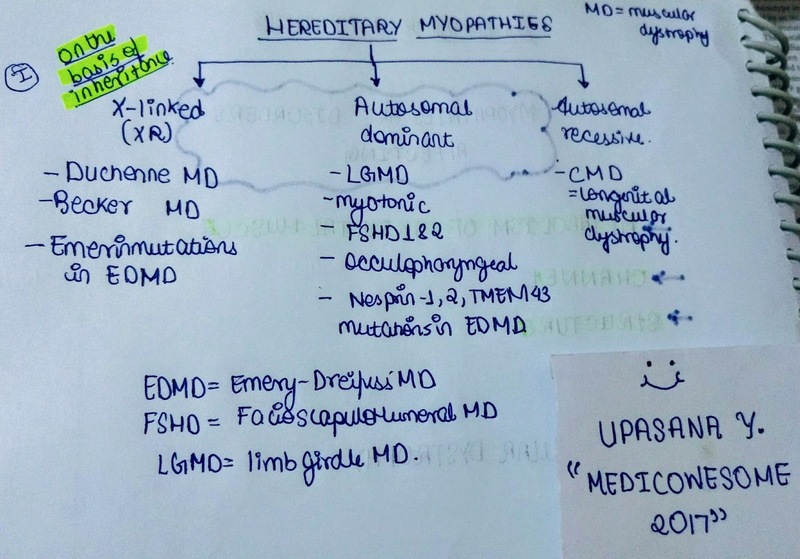 Let us discuss dystrophinopathies first . – Abnormal at birth but declines late in the disease because of inactivity and loss of muscle mass. • Connective tissue and fat replace lost muscle fibers. • Definitive diagnosis is established on the basis of dystrophin deficiency. • Diagnosis can also be made by Western blot analysis of muscle biopsy specimens. – Complications of long-term use often outweigh the benefits. • Onset of symptoms occurs between ages 5 and 15. 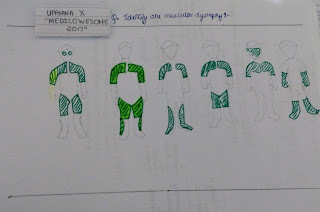 I.Muscular manifestations – Pattern of muscle wasting closely resembles Duchenne. – Weakness becomes generalized as disease progresses. – Hypertrophy, particularly in calves, is an early and prominent finding. 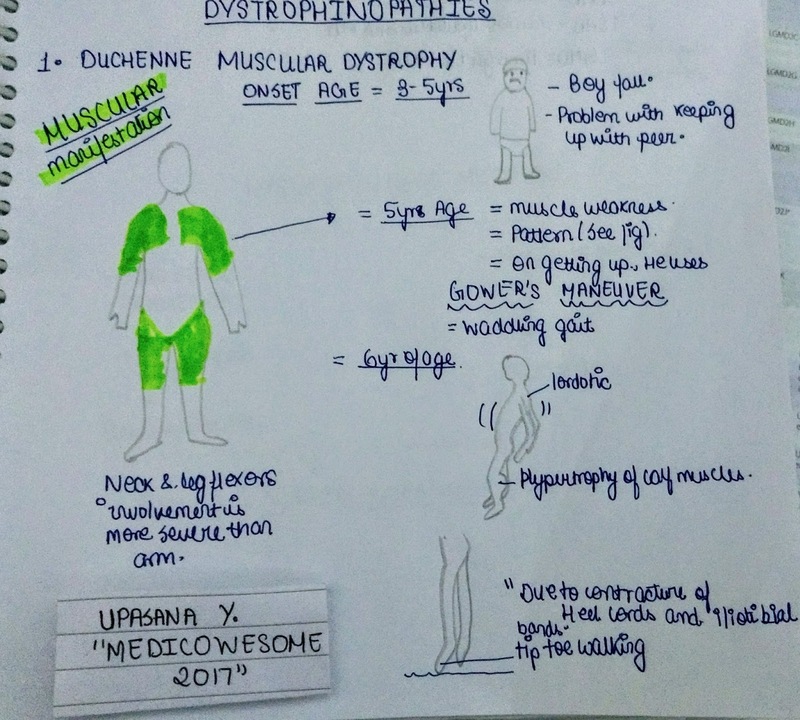 – By definition, patients walk beyond age 15 (whereas patients with Duchenne dystrophy are typically in a wheelchair by the age of 12). – Significant facial muscle weakness is not a feature. – Respiratory failure may develop by fourth decade. 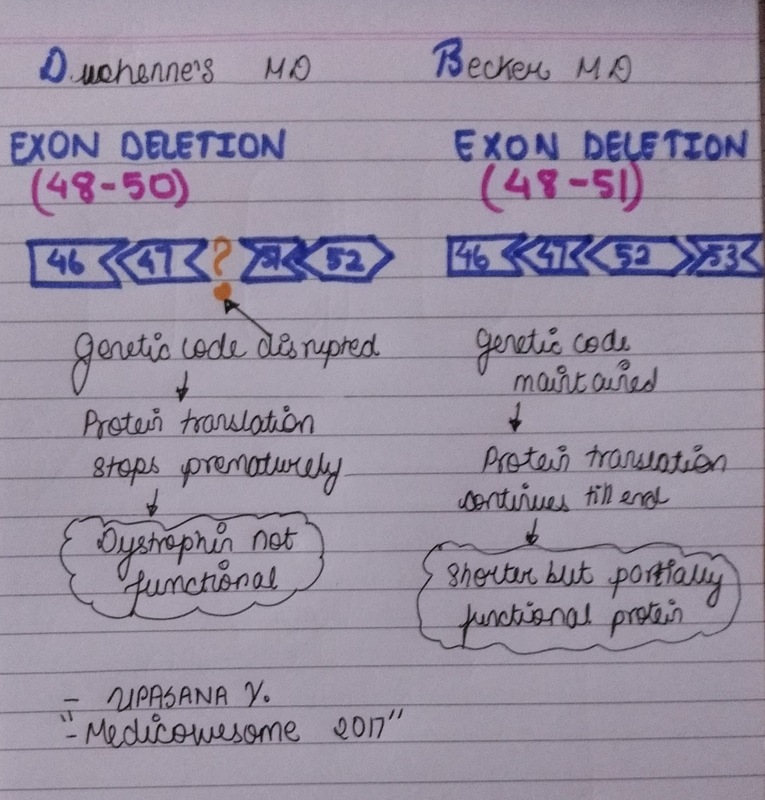 – 95% of patients, the DNA deletion does not alter the translational reading frame of mRNA. 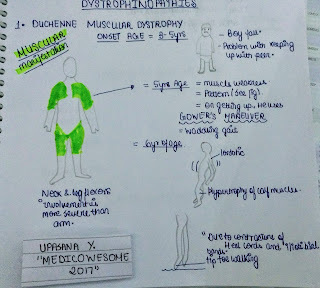 • Muscle biopsy – Results closely resemble those in Duchenne dystrophy. – Diagnosis requires Western blot analysis of muscle biopsy samples demonstrating a reduced amount or abnormal size of dystrophin. Answer is "D" that is Meningococcus. It is a classical case of Waterhouse-friderichsen syndrome/Purpura fulminans/Fulminant meningococcemia:It is simply trauma to adrenal gland causing extensive bleeding, multiple organ failure, leucopenia, thromobocytopenia and consistent development of DIC.Low level of blood glucose and sodium and high level of ACTH and potassium level is suggestive of adrenal failure. It differs from other septic shock because of the presence of prominent hemorrhagic skin lesions petechia, purpura. Normally, the lower limbs systolic blood pressure ( measured on popliteal artery by indirect method, using sphygmomanometer ) is 10-20 mmHg higher than that of upper limbs ( brachial artery ). 1. The lower limb vessels are more muscular than the upper limb vessels. 2. Lower limb vessels are in direct continuation of the Aorta, whereas the upper limb vessels form an angle of 90°. 3. The increased blood pressure is the result of summation effects of reflected pressure waves. As a result, the pressure waves are transmitted at a higher speed in the wall of lower limb vessels which then get reflected at the end to increase further with the incoming wave. In Aortic Regurgitation, the greater amplitude of pressure waves results in exaggerated increase in systolic blood pressure of lower limbs vessels compared to that of upper limbs. Severe - difference of >60 mmHg. Yesterday we posted an MCQ on a pediatric infection with characteristic appearance of rash on face, involving both cheeks. Chemosis is known as oedema of conjunctiva. Reason:due to exudation from the abnormal capillaries.This retained exudate gives a swollen and gelatinous appearance. Regions: loosely attached areas of the bulbar conjunctiva and fornices. A: Acute inflammations like gonococcal conjunctivitis, panophthalmitis, dacryocystitis, periostitis, orbital cellulitis. B: Blood conditions (abnormal) like anaemia, urticaria, angioneurotic oedema, lymphocytic infiltration. C: Circulatory obstruction in conditions like pulsating exophthalmos or due to pressure of an orbital tumour which may interfere with the lymph and blood drainage. 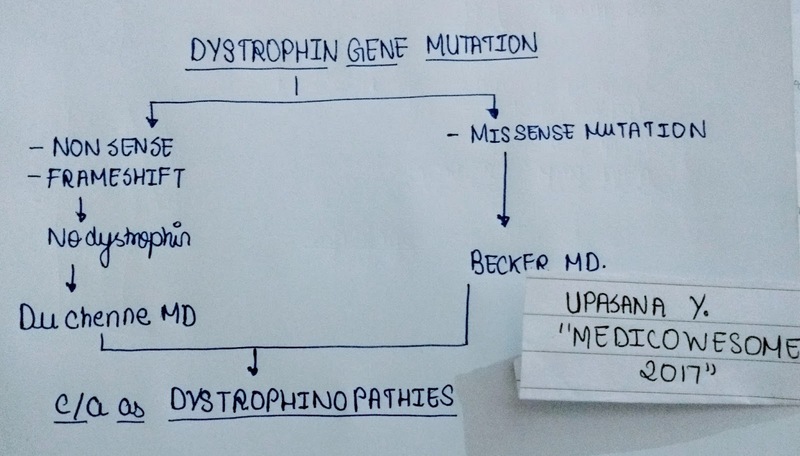 Here's a Blog on Tay Sachs Disease and some common questions related to it. It is a genetic disorder that results in the destruction of nerve cells in the brain and spinal cord. Tay–Sachs disease is caused by a genetic mutation in the HEXA genes on chromosome 15. It is inherited from a person's parents in an autosomal recessive manner. 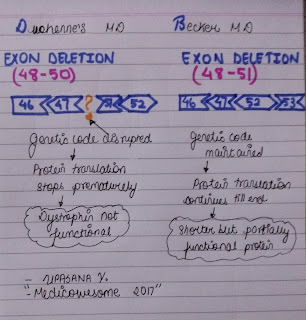 The mutation results in problems with an enzyme called beta-hexosamidase A ,located on lysosomes,which results in the build up of the toxin GM2 ganglioside within cells. The most common type, known as infantile Tay–Sachs disease, becomes apparent around three to six months of age with the baby losing the ability to turn over, sit, or crawl. This is then followed by seizures, hearing loss, and inability to move. An eye abnormality called a cherry-red spot, which can be identified with an eye examination, is characteristic of this disorder. Death usually occurs in early childhood. Less commonly the disease may occur in later childhood or adulthood. These forms are generally milder in nature.Diagnosis is by measuring the blood hexosaminidase A level or genetic testing. The substance which accumulates in Tay Sach’s disease is Ganglioside. 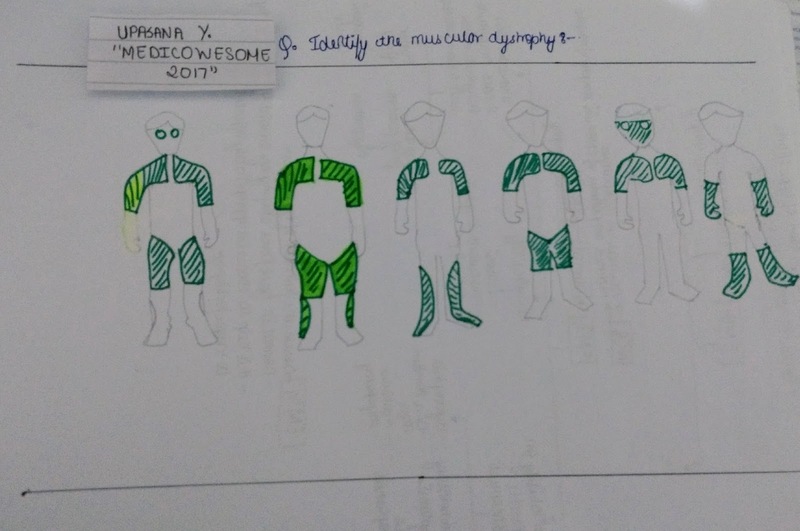 Deficiency of enzyme Hexosaminidase-A causes Tay Sach’s disease. Cherry red spot at macula may be seen in Tay Sach’s disease. 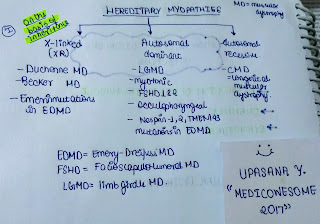 Now we will discuss individual myopathies in detail. 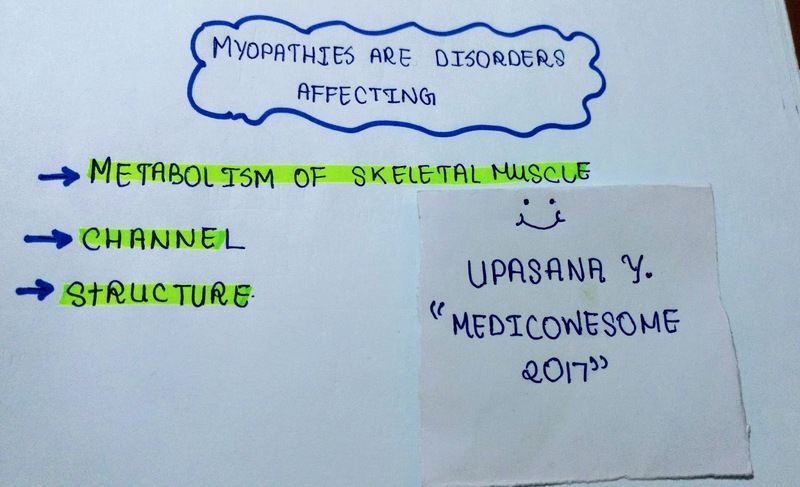 We have discussed the association between metabolic disorder and myopathies. In the next post, I will explain the pictures in detail. Yesterday we posted an Image based MCQ on ENT instruments. And here's the answer for it. Q. The instrument shown in the above image is used in? The instrument shown in the above image is Eve’s Tonsillar Snare, used in tonsillectomy. It consists of a long, thin, hollow tube with a stainless steel wire loop at one end which has Ratchet action. The other end has three large rings. These three rings allow the instrument to be operated using three fingers. It is used to snare the lower pole of Tonsil at the end of dissection. Advantage of using the snare to resect the tonsil is to minimize the bleeding by crushing the vascular pedicle, not cutting unlike scissors. The instrument is held by inserting the forefinger and the middle finger into two rings on either side of the snare.The thumb is placed in the single ring at the back. This ring is actually located at the end of the plunger. Pulling the plunger with the thumb draws out the wire loop while it can be pulled back in by pressing the plunger with the thumb. The wire loop is first threaded over the Denis Browne tonsil holding forceps. The dissected tonsil is then held with the forceps and the wire loop moved over it until it surrounds the pedicle of the tonsil. The thumb is then pressed down to draw back the loop. The pedicle of the tonsil is crushedby this movement.